Leading sports complexes, family-friendly parks and college level gymnasiums invite planners and teams to partake in unforgettable sporting events at Seattle Southside. 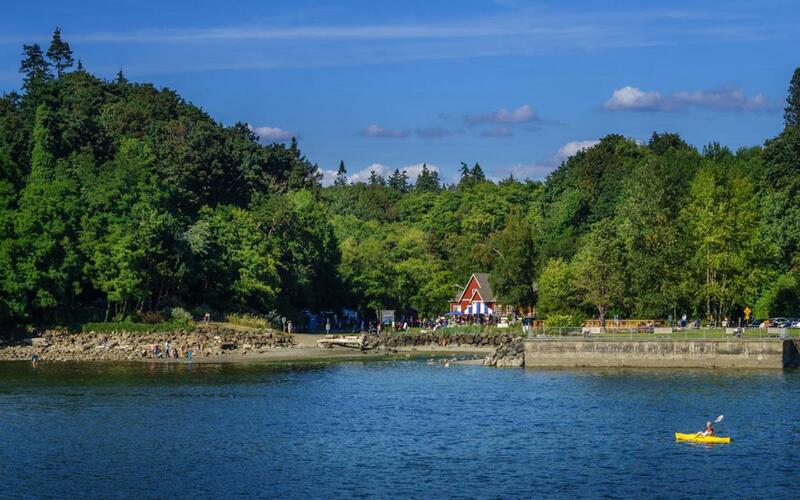 Des Moines Beach Park is a great location for visitors to experience the nature of Seattle Southside. Affordable, convenient and fun, Seattle Southside has all the amenities a large metropolitan city provides, all while offering a plethora of nearby outdoor activities for those in need of a quiet picturesque getaway on the outskirts of the bustling city. From the region’s cherished Starfire Sports to its many local parks, Seattle Southside has a wide variety of sporting venues equipped to accommodate any sports planner’s needs, regardless of the size of your team or event. 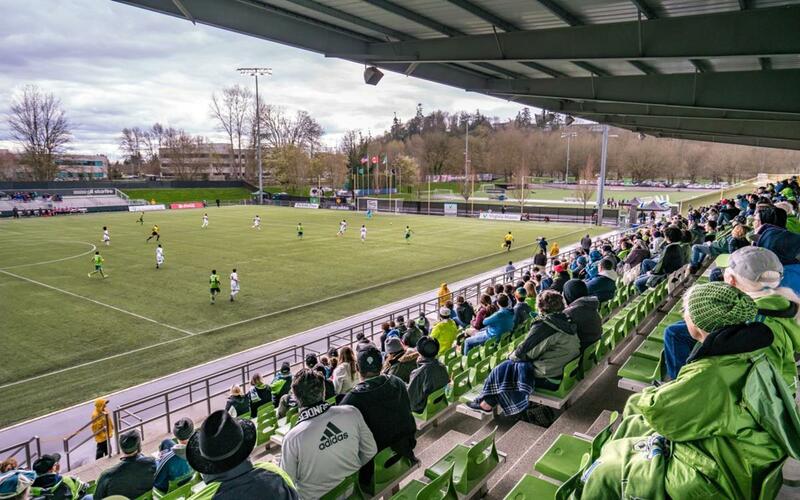 One of the largest synthetic-turf soccer complexes in the nation, Starfire Sports is the home of numerous local soccer and rugby teams, including the practice field of the Seattle Sounders FC and home to Major League Ruby team, Seattle Seawolves, the inaugural season champions. Featuring five grass fields, two indoor FieldTurf fields and seven outdoor FieldTurf fields, the complex’s main stadium also has a capacity of 4,500 spectators. The facility’s athletic center is fully-equipped with two indoor AstroTurf fields, scoreboards, meeting rooms, men’s and women’s locker rooms, restaurants and athletic training and physical therapy offices. 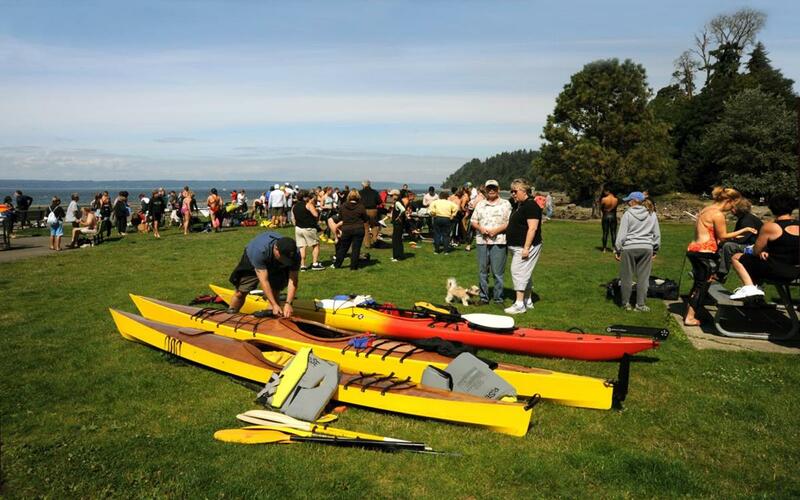 With a plethora of walking and running trails, beach access and a marina offering wet and dry moorage for 840 recreational vessels, Des Moines Beach Park has outdoor and indoor space ideal for smaller youth sports teams and events. As part of the Covenant Beach Historical District listed on the Register of Historic Places, Des Moines Beach Park Event Center is an ideal location for basketball tournaments, featuring an indoor field house gym with 4,000 square feet and a capacity of 225 guests; the Des Moines Activity Center extends 5,448 square feet and can seat up to 120 guests. During warm summer months, the field house picnic shelter is open to the public and features tennis courts, a skate park and outdoor restrooms. With 160 acres and three different baseball and softball fields available for rent from March to October, North SeaTac Park also features an outdoor basketball court, paved and unpaved walking and running trails, a BMX track and a disc golf course. Amenities at the park include an open activity area, on-site restrooms, playground equipment, a picnic shelter, parking and a community center with an indoor gymnasium available for rent with the capacity to seat 125 spectators. 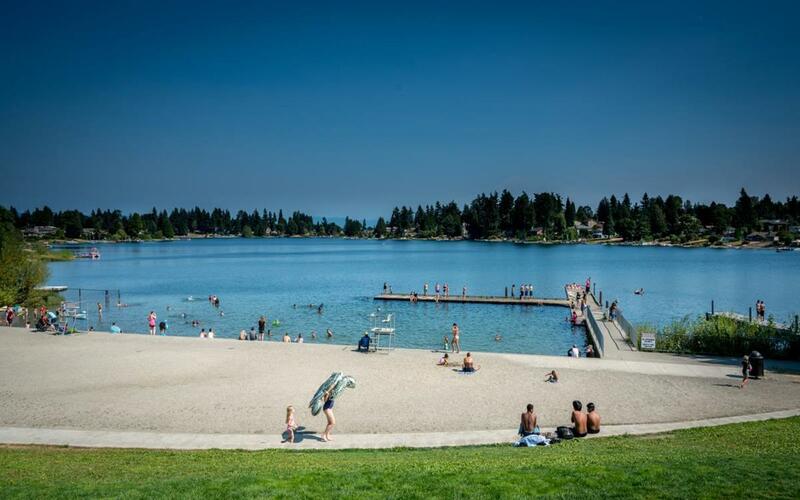 Located in SeaTac, Angle Lake Park is a 10-acre lakefront park, perfect for exciting outdoor activities in the summer with opportunities for fishing, swimming and boating. Home to community events such as the annual SeaTac International Festival, the park’s features include a boat launch, an open recreation area, a water spray park, stage, restrooms, picnic shelters, barbecue areas, playground equipment, parking and a nature trail. Guests visiting the park should be aware that there is no lifeguard on duty. A 22,917 square foot gymnasium, Highline College Pavilion in Des Moines seats 1,300 spectators and is equipped to be configured for up to two full basketball courts or six volleyball courts. An ideal destination for track and field teams and meets, the pavilion also features an eight-lane, all-weather running track. Further facilities at the pavilion include a soccer field, softball field, four outdoor tennis courts, a multi-purpose room, locker rooms and showers. 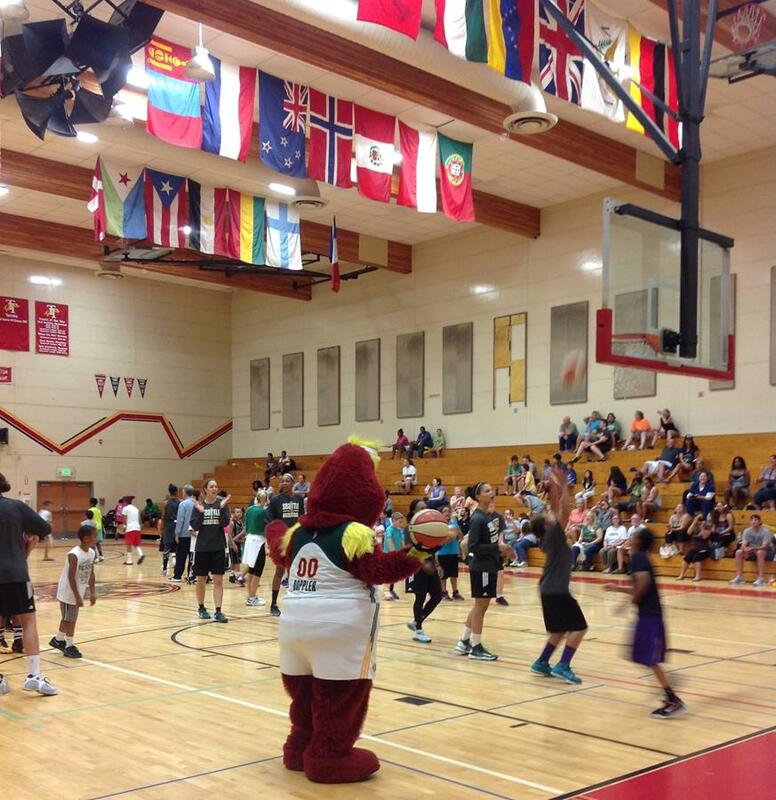 A hidden gem located in the town of Tukwila, Foster High School’s Foster Performing Arts Center is available for rent for a variety of sports events, namely basketball and volleyball tournaments and gymnastics and cheerleading competitions. Sports planners should be aware that private sporting events will be scheduled around regularly programmed activities throughout the school year and are not available in July or August. With free onsite parking and catering services, the performing arts center seats 550 guests, features four different rooms and covers 6,000 square feet. Rated by Hilton as one of their top performing hotels, Hilton Seattle Airport and Conference Center is a flagship property with 40,000 square feet of functional meeting space ideal for large sporting events. A one-stop shop for out-of-town sports planners and traveling teams, the hotel and conference center has 396 sleeping rooms, a fitness center, free airport shuttle services, an outdoor pool and multilingual services. The largest room available for rent seats 1,200 guests. Further amenities include air-conditioning, a business center and onsite parking and restaurants. 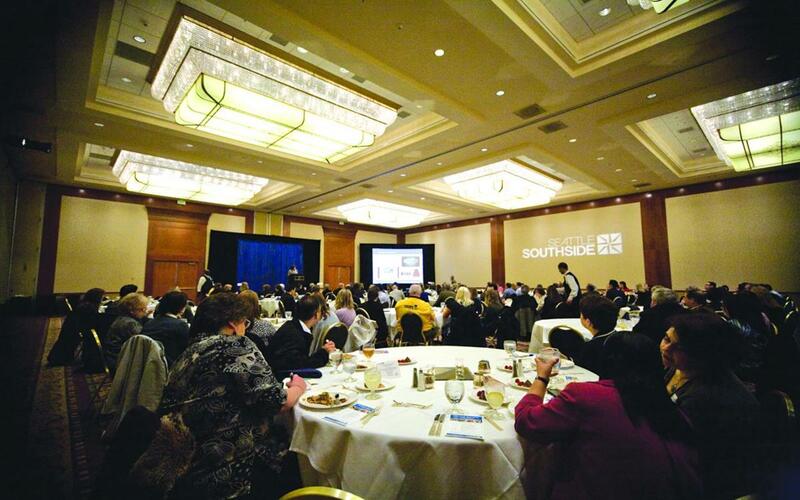 When it comes to accommodations, Seattle Southside hotels are typically priced 20 to 30 percent less than lodging in downtown Seattle and are conveniently situated right next to Sea-Tac Airport. Those looking for a more nature-friendly experience have a variety of RV and campground sites or bed and breakfasts to choose from. 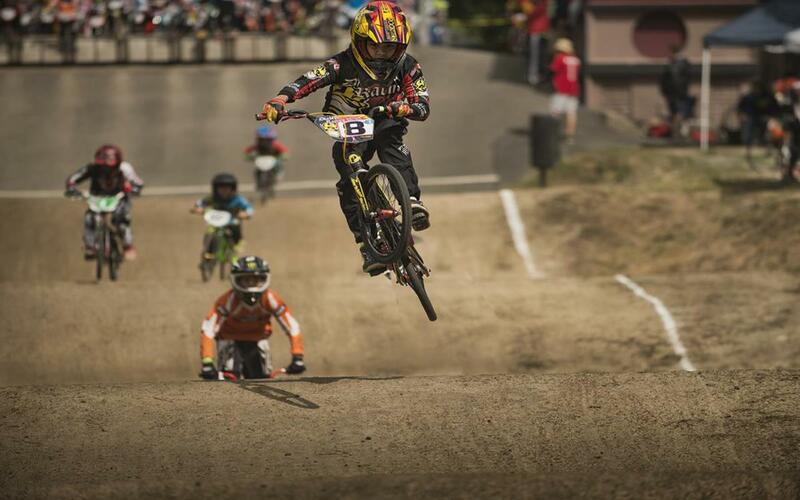 From educational museums and thrill-filled activities to family-friendly parks and entertainment centers, Seattle Southside provides traveling sports teams and families the chance to explore all that Seattle’s backyard has to offer. At The Museum of Flight, visitors can hop in the pilot’s seat and see what it’s like to soar through the sky through surreal and exciting flight simulator rides, or check out and tour the Air Force One, 747s and Original Boeing 727s at the museum’s Aviation Pavilion. An ideal activity for adrenaline junkies, iFLY Indoor Skydiving offers groups the opportunity to attend flight school with one-on-one coaching from an experienced flight instructor and learn a progression of flying skills in an exciting group setting. Tukwila’s Family Fun Center offers discounted prices for large groups, featuring endless exciting group activities such as miniature golf, laser tag, bumper cars, Go-karts and bowling. Angle Lake Spray Park is a great way to cool down during summer heatwaves and is a favorite amongst youngsters, with many fun water features to jump and splash around in. Bowling, billiards, arcade games, karaoke, darts, ping pong and a kids play zone provide hours of fun for all ages at Round One Entertainment. We have had two reunions in the Seattle Southside area. 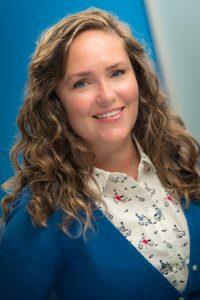 The hotels are great to work with, but the outstanding issue is value to our members. For those who drive, they can reach the hotels without dealing with downtown traffic, which can be heavy and confusing to a stranger in town. 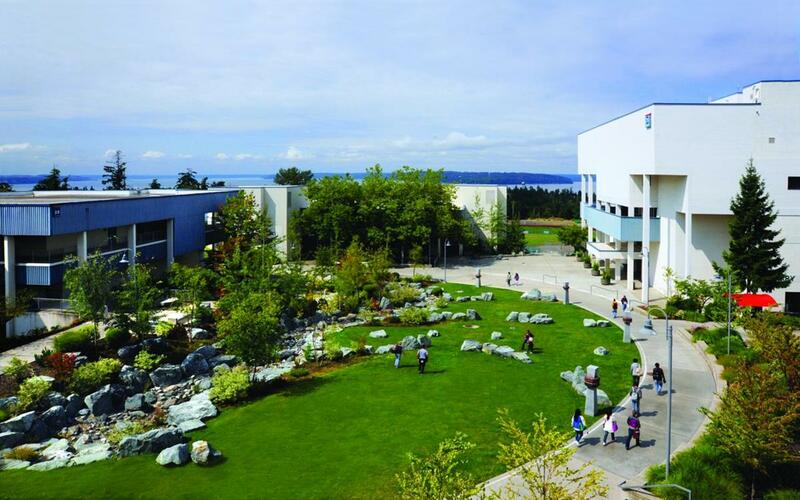 The hotels are fairly close to anywhere you might want to visit, from Boeing to wine tasting and they’re still within easy reach of the ferry system to Bainbridge and Bremerton. ‘Dollar for dollar’ you can’t beat Southside. I truly appreciate the legwork you did and am impressed by how quickly you jumped on the project, how you made inquiries on our behalf even though you weren’t being specifically compensated for it. Your level of customer care is quite extraordinary. I own a small business in the financial services field and customer service, trust and attention to detail is paramount so I’m keenly aware when I see it and when I don’t. I’ve definitely seen it in our interaction and I commend you for everything you’ve done to help. Thank you so much. By Car: For sports teams heading to Seattle Southside from eastern states, head to Interstate I-90 W and take the exit toward Sea-Tac Airport from WA-518 W. For those traveling from southwest states, take Interstate I-5 N to exit 152. By Air: As the primary commercial airport serving the Seattle metropolitan area, Seattle-Tacoma International Airport (SEA), otherwise known as Sea-Tac Airport, is owned and operated by the Port of Seattle and is the largest airport in the Pacific Northwest. A primary hub for Alaska Airlines, Horizon Air and Delta Airlines, Sea-Tac Airport offers hundreds of domestic and international flights per day and is considered one of the fastest growing airports in the U.S. and the world.